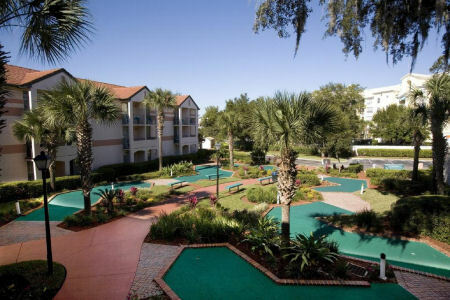 1 or 2 Bedroom Suite at Blue Tree Resort (Westgate) in Lake Buena Vista, Florida! 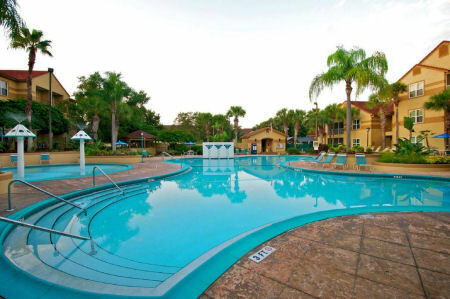 Blue Tree Resort (Westgate) in Lake Buena Vista, Florida Near Disney - Buy a 7 Night Stay in a 1 or 2 Bedroom Suite! 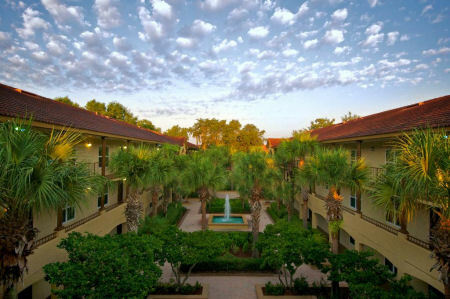 Enjoy 7 Nights in a 1 or 2 Bedroom Suite at Blue Tree Resort/Westgate Blue Tree Resort in Lake Buena Vista, Florida! Blue Tree Resort & Westgate Blue Tree Resort are part of the same grounds. The dates that are listed below are a mix between both resorts. You may be booked in Blue Tree Resort Building or Westgate Blue Tree Resort Building. 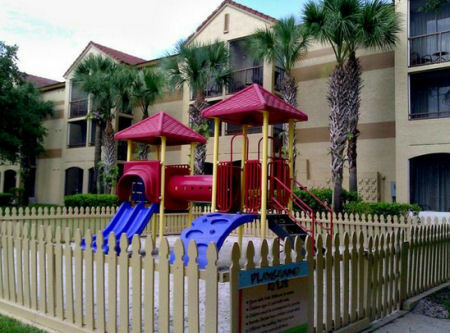 Westgate Blue Tree Resort in Lake Buena Vista, Florida, provides guests all the comforts of a fully furnished home with accommodations ranging from cozy one-bedrooms villas to spacious two-bedroom villas, all within minutes of Orlando's world-class theme parks and tourist attractions, as well as many family-friendly restaurants and shopping opportunities. A nonsmoking Orlando family resort, Westgate Blue Tree Resort does not allow pets. With a variety of onsite amenities, Westgate Blue Tree Resort offers something for everyone! 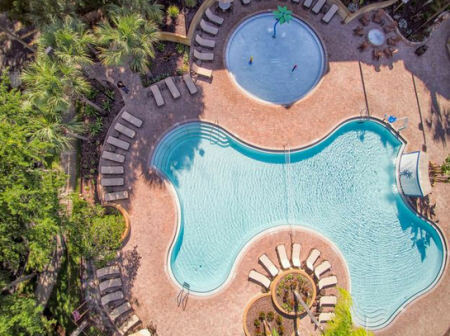 Situated on 23 beautifully landscaped acres in Lake Buena Vista, Florida, Westgate Blue Tree Resort lies near Walt Disney World Resort and also provides easy access to both Universal Orlando Resort and SeaWorld Orlando. 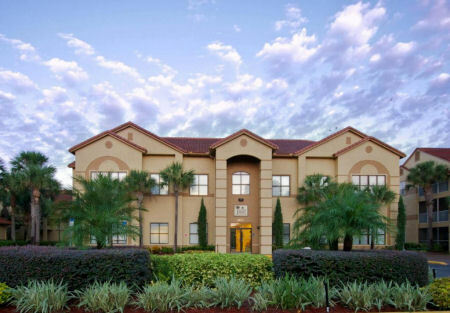 Guests of our Lake Buena Vista hotel enjoy all the comforts of a fully furnished home such as fully equipped kitchens, living areas with queen-size sleeper sofas, and patios or balconies. 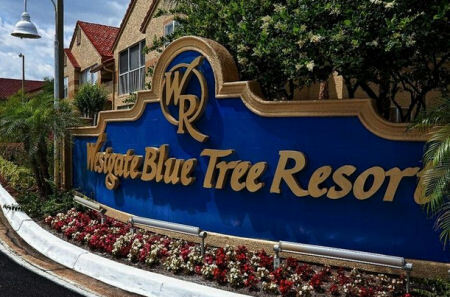 Westgate Blue Tree Resort features a variety of onsite amenities, including four outdoor pools (three of which are heated) and complimentary scheduled theme park transportation. 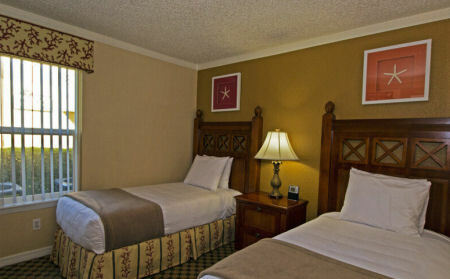 One Bedroom Suite: Enjoy all the comforts of home in the One-Bedroom at Westgate Blue Tree Resort. These Orlando vacation rentals offer 485 square feet of space, accommodate up to four guests and feature a king bed, queen sleeper sofa in the living area and fully equipped kitchen. Upgrade to a 2 Bedroom Suite for just $75 for the Week! Your 2 Bedroom Suite will sleep up to 6 people and has a full kitchen. 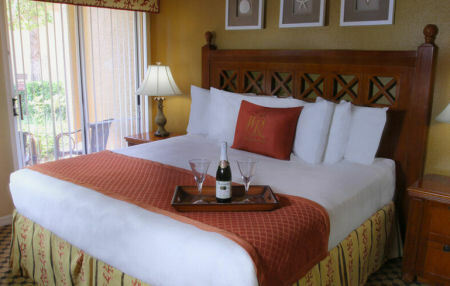 The Following Check-in Date is Available in a 2 Bedroom Suite! Free Transportation to Theme Parks! Resort partnered with Tickets2You to give you the best prices on attraction tickets, guaranteed!